The sheer beauty of Mozambique, with its wonderful coastline, glorious tropical paradise islands and lively, colourful capital city of Maputo cannot be matched elsewhere. This stunning country, on the south east coast of Africa, is one of the most impressive on the continent, and a holiday in one of the many fabulous Mozambique lodges is the perfect way to unwind. With a wide choice of package deals and select Mozambique holidays, and some excellent rates, there is nothing stopping you taking your family to what is a genuine exotic destination, and experiencing unspoilt Africa in all its glory. While the mainland has its attractions – from the capital city with its excellent Maputo hotels, wonderful restaurants and many other attractions to the glorious beaches of the Inhambane coast – it is perhaps the various islands that are home to the best in Mozambique lodges. The two main island groups, the Bazaruto and Quirimbas Archipelagos, provide a wealth of choice in terms of stunning holidays in Mozambique, and with many special attributes to be enjoyed. The Bazaruto Archipelago consists of five very beautiful islands, and offers luxurious accommodation in some of the most exclusive of all Mozambique lodges. The island of Benguerra, one of the most popular of all thanks to its amazing Palm Tree lined beaches and clear blue ocean waters, is home to the wonderful Benguerra Lodge, the first to be constructed and still as impressive today as it was then, while Bazaruto itself is an equally beautiful place and is popular with families, couples and even as a Mozambique honeymoon destination. The Quirimbas Islands offer a slow pace of live and a relaxed tempo, with wonderful locations and some amazing accommodation options. 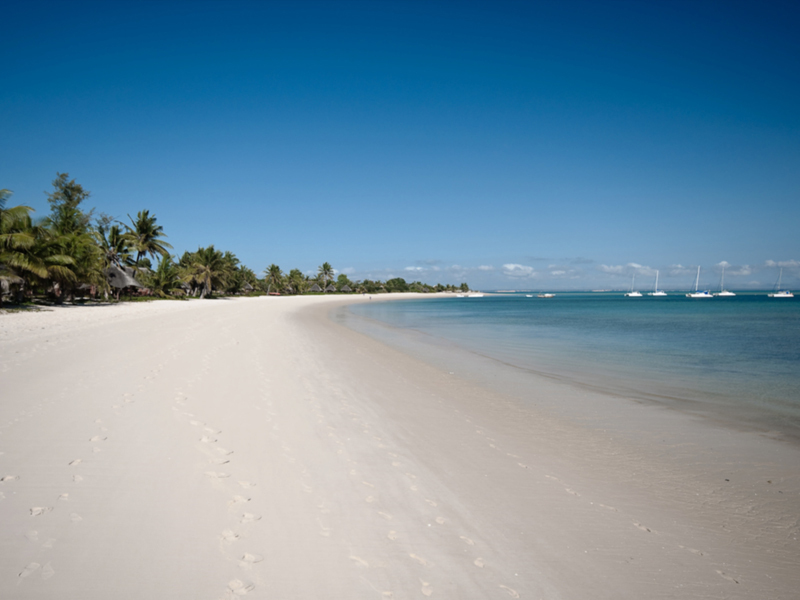 A more extensive group of smaller islands, they offer the peace and tranquillity of Ibo, and the wonderful Ibo Island Lodge, as well as the equally special islands of Matemo and Quirimbas, each of which is able to provide accommodation in one of many Mozambique lodges in truly exceptional locations. Famed for their clear waters and the beautiful coral reefs that surround the islands, both the Bazaruto and Quirimbas Islands offer superb snorkelling and diving opportunities at some of the very best Mozambique beach resorts, plus many other activities if you wish to participate, or you could simply sit back and enjoy the view from the deck of your private luxury lodge. With a full range of package deals and specials on Mozambique lodges and hotels, we can help you find the very best in Mozambique lodges. Experts in Mozambique travel, our team of advisors has access to the most exclusive private lodges and resorts across the country, and all at excellent rates and guaranteed prices. Booking your Mozambique accommodation has never been easier, and we can help you put together the package that will provide you with the perfect opportunity to enjoy everything this gorgeous, friendly and welcoming country has to offer. Why not get in touch now, and one of our friendly and helpful team will help you book the Mozambique holiday of a lifetime?